A BUS company has been fined £2.3million for breaking health and safety laws prior to a crash in Coventry where two people died. Midland Red (South) Limited (Midland Red) operated the bus involved in a collision on 3 October 2015. Driver Kailash Chander, who was aged 77 at the time of collision, pulled off at speed in the city centre, striking a parked bus and driving across a grass verge. 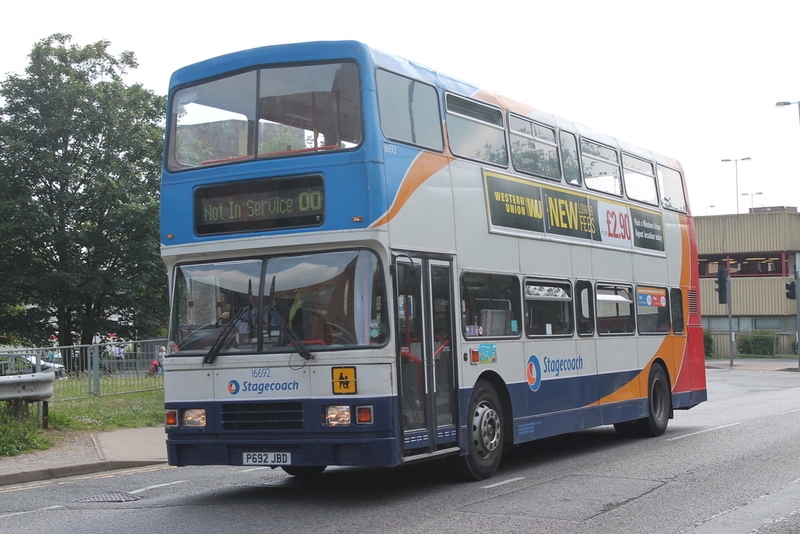 The bus continued to accelerate across the street before crashing into a Sainsbury’s store. Dora Hancox, 76, was struck by the bus in the street. Rowan Fitzgerald, seven, was a front seat passenger on the top deck of the bus. Both were killed in the crash and others were seriously injured. Investigators found no mechanical fault with the bus and that Chander had put his foot on the throttle believing it to be the brake, Birmingham Crown Court heard. Midland Red was found to have dealt inadequately with numerous complaints about Chander’s driving and ignored warnings to ensure he reduced his hours of work due to the effect of fatigue on his standard of driving. Despite these, Chander had worked in excess of 60 hours per week in the three weeks prior to the crash. The company admitted two health and safety offences. Chander, now aged 80, was deemed medically unfit to stand trial but was found to have driven dangerously following a finding of facts hearing. He was given a two year supervision order. Michael Gregory, of the CPS, said: “The bus company had a duty of care to their passengers and members of the public, and a responsibility to ensure their drivers were fit and capable of undertaking their role. “Kailash Chander was not and despite numerous complaints, the company failed the address this, breaching their own policies in the process. “The CPS presented evidence to show the lengthy period Midland Red was aware of increasing concerns regarding Chander’s driving and the failure to address them.